We are a growing, Bible-Believing Church in Schertz, Texas. Schertz is one of the most desirable suburbs of San Antonio. God began dealing with the the Slayter family to launch a brand new church for quite some time. In September of 2013, the Slayter’s drove through Schertz for the first time and felting a drawing. After much prayer the Slayter’s revisited Schertz to pray and further seek the Lord on starting a brand new church in the area. March 2014, Pastor Joel and Amy Slayter together with their children moved to the San Antonio Area to launch the new church. While there have been challenges along the way, God made it possible for the work to begin. Our first service was held on April 6, 2014. 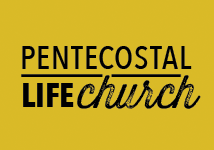 Pentecostal Life Church was born! Pentecostal Life Church first met in a small meeting room on Highway 78 that soon filled up. Then God opened the door to a bigger facility. Pastor Slayter’s motto is, “We are not a small church but a great church in infancy.” If you are looking for a church that you will feel loved, needed, and wanted, then Pentecostal Life Church is the right place for you. Come and continue our story with us.